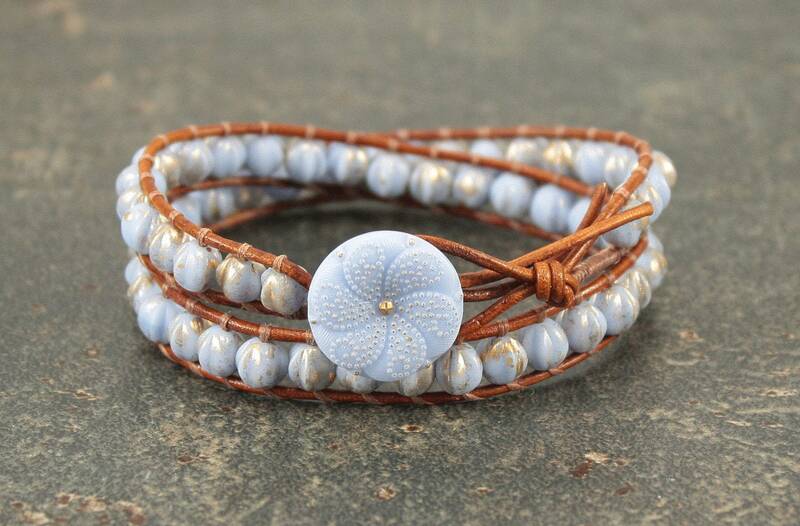 This pretty, one of a kind bracelet features a pale blue glass vintage button with gold highlights. I've paired the button with caramel brown leather and Czech glass beads in pale blue with gold highlights. Each wrap of the bracelet is 3/8 inch wide. The bracelet is 14 1/2 inches long and fits an average 6 1/2 inch wrist.